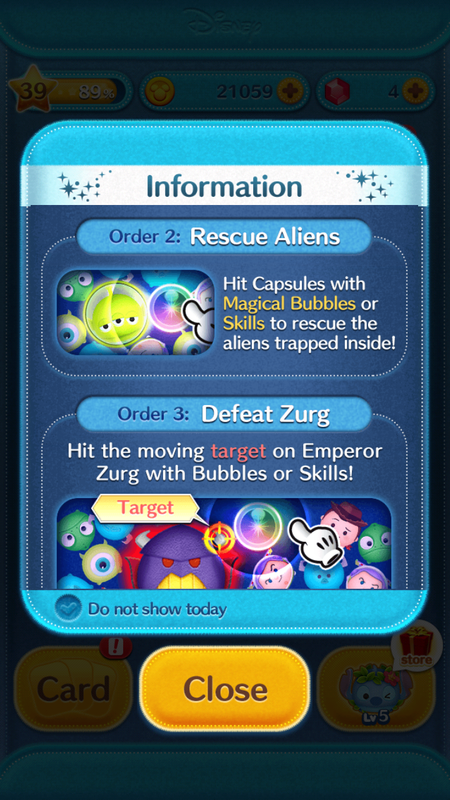 New Space Ranger Event in the Disney Tsum Tsum App! 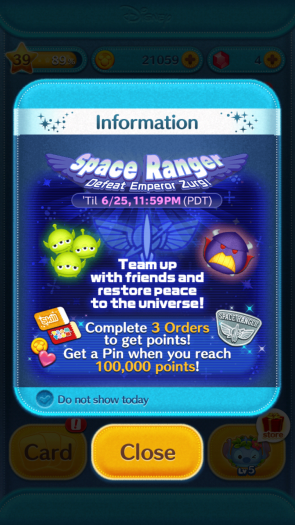 Home » News » New Space Ranger Event in the Disney Tsum Tsum App! Space Ranger Defeat Emperor Zurg: ’til 6/25, 11:59 PM (PDT). Team up with friends and restore peace to the universe! 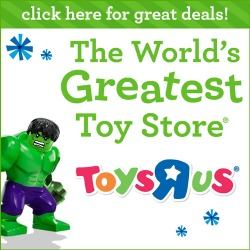 Complete 3 orders and get points! Get a Pin when you reach 100,000 points! Take on all 4 mission then report back to the Star Command! 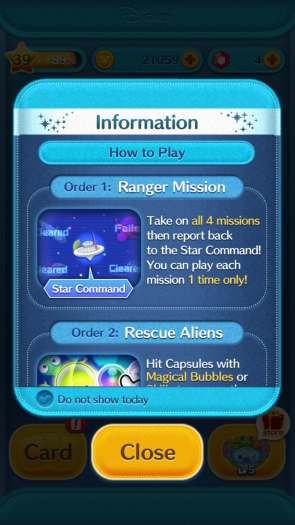 You can play each mission 1 time only! Hit Capsules with Magical Bubbles or Skills to rescue the aliens trapped inside! 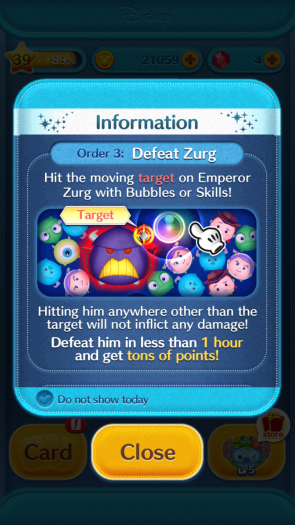 Hit the moving target on Emperor Zurg with Bubbles or Skills! Defeat him in less than 1 hour and get tons of points! 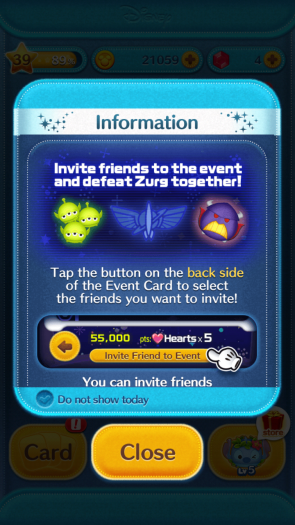 Invite friends to the event and defeat Zurg together! 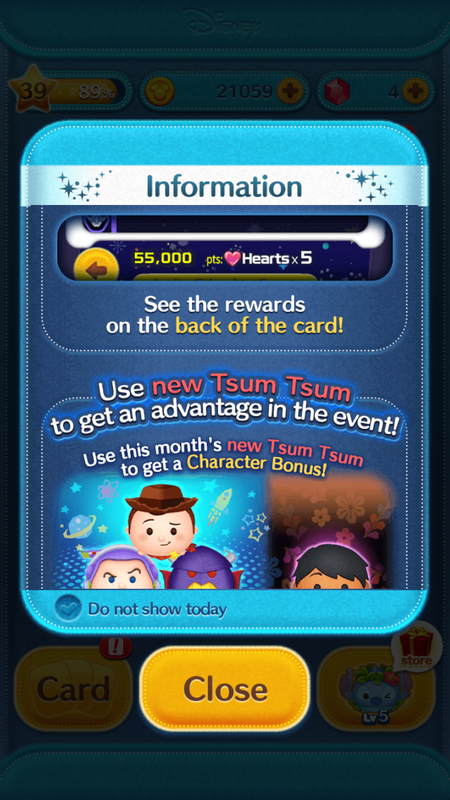 Tap the button on the back side of the Event Card to select who you want to invite! You can invite friends who haven’t played Tsum Tsum for 30 days or more! When you help your friends you’ll get Help Points! 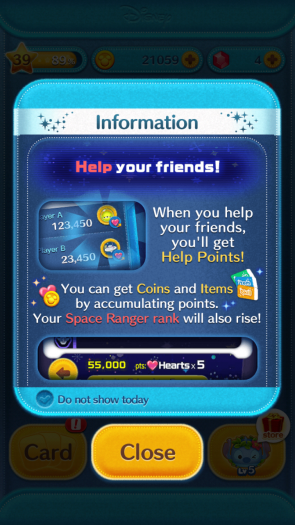 You can get Coins and Items by accumulating points. Your Space Ranger rank will also rise! See rewards on the back of the card! 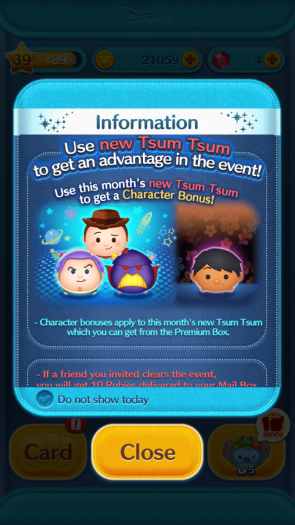 Use new Tsum Tsum to get an advantage in the event! 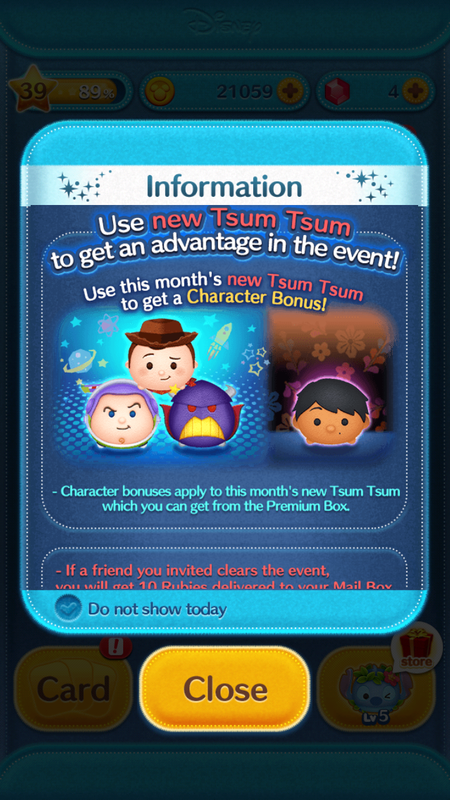 Use this month’s new Tsum Tsum to get a Character Bonus! -character bonuses apply to this month’s new Tsum Tsum which you can get from the Premium Box. 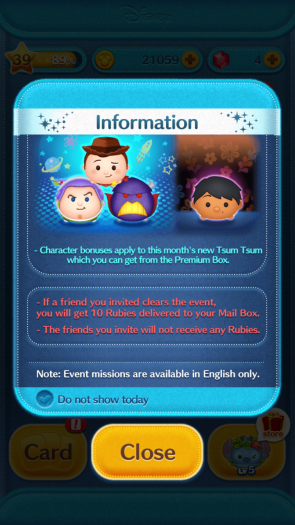 -If a friend you invited clears the event, you will get 10 Rubies delivered to your Mail Box. 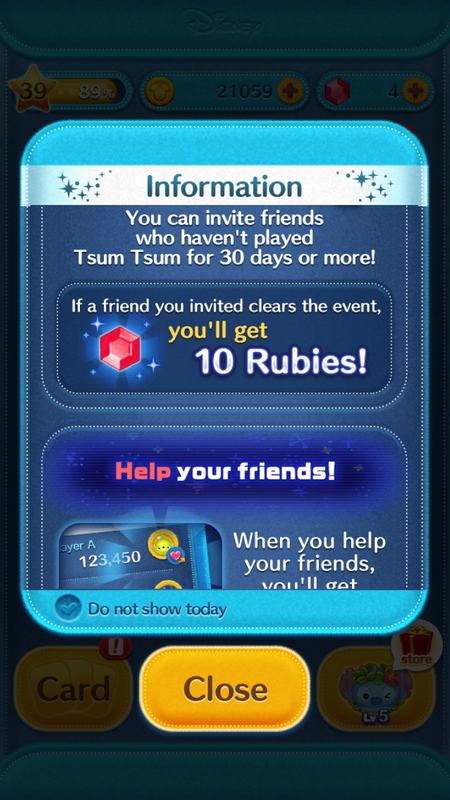 -The friends you invite will not receive any Rubies. Note: Event missions are available in English only.